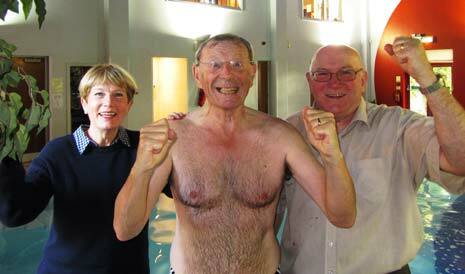 A Swimathon by a retired school-teacher has raised over £2,000 to help kids with cancer. As previously reported HERE, David Windle, aged 69 from Newbold, and a Past President of the Rotary Club of Chesterfield, has raised the money for the Chesterfield based charity, Kids 'N' Cancer UK, by swimming a marathon length 26 miles, 385 yards. 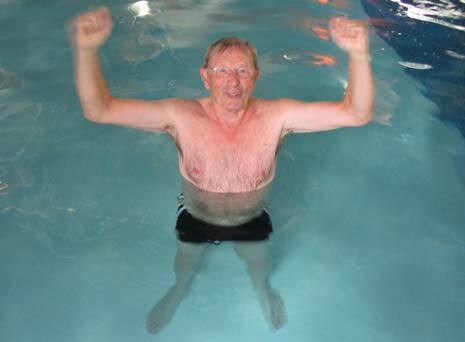 His sponsored swim took place over the week 7th-11th October 2013, when he swam 3,516 lengths of the pool at Ringwood Hall Hotel Health & Fitness Suite in a total time of 16 hours 56 minutes. David said: "I am absolutely delighted that thanks to some wonderful support I have now exceeded my initial target and have so far raised £2,300 for the charity." Although Kids 'N' Cancer UK is currently organising one of the biggest fund-raising events to hit the town in September 2014, with the very first Chesterfield & Derbyshire Marathon, David Windle chose to make his fund-raising contribution by swimming a similar length instead of running. David explained: "I am stronger at swimming that running so decided to raise funds for the charity with a sponsored swim rather than a sponsored run and am really pleased to have completed the swim in a personal best time." He added: "I raised over £1,000 with a sponsored swim of a similar distance a few years ago in support of Rotary's ongoing worldwide Polio Plus campaign, which aims to rid the world of polio, but despite being a few years older, I was actually quicker this time round." David explained that he felt compelled to help the charity in its efforts to support children and their families, who have a variety of problems associated with cancer, after hearing about the charity from its founder, Mike Hyman. Kids 'N' Cancer UK is a charity designed to help children in the UK receive life-saving Proton Therapy treatment for their cancers and tumours. As some children diagnosed with cancer do not qualify in certain situations for funding by the NHS, the charity and its patrons assist families caught up in this sad situation of not meeting the criteria. For more details about David Windle's sponsored swim, and to make a donation, go to www.justgiving.com/KidsNCancerSwim. 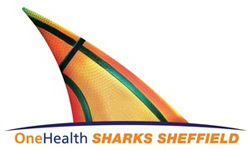 For further details about the Kids 'N' Cancer Charity, visit their website at www.kidsncancer.org.uk. To find out more about Rotary, visit www.ribi.org.